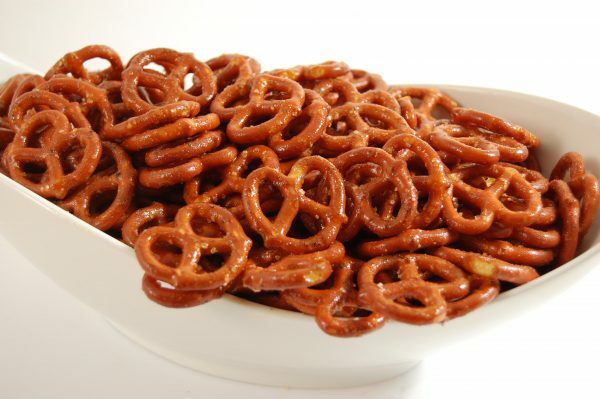 Pour bags of pretzels into a large bowl. Sprinkle the ranch dressing packet, garlic powder, and lemon pepper over the pretzels. Pour the bottle of popcorn oil over the pretzels. Gently stir to coat the pretzels. Stir ever 15 minutes, or until the oil doesn't pool at the bottom of the bowl (about 2 hours). The pretzels will eventually absorb the oil and the spices will coat the outside. Can be made days ahead. Store in an airtight container.